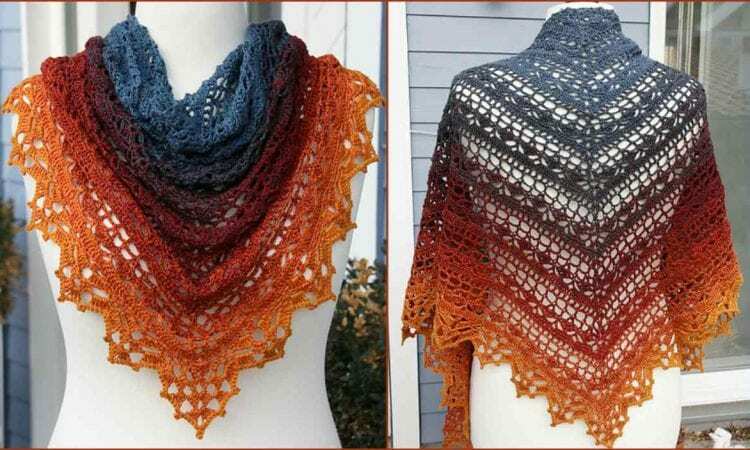 This beautiful shawl was designed by Jasmin Räsänen. It is one of those projects you will wear all year long. The shawl is about 81.5″ x 34″ (2,07m x 87cm) in size, so it can cover your back during a summer evening chill. As you can see in the photos, it can also be worn like a scarf during the colder months. The shawl has been worked with a G/6 hook and about 1095 yards of yarn. For more free designs every day follow us on Facebook. Link to that pattern is below. Bruinen Shawl – Free Crochet Pattern you can download >>here< . To see more photos of this particular project visit Ravelry.